Page 8 - KaBOOM! News | KaBOOM! 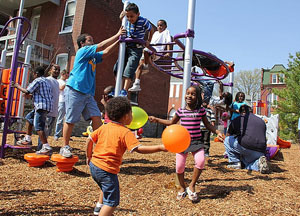 On April 6th, 2011 KaBOOM!, the Salvation Army Temple Corps Community Center and Energizer built a great new place to play in St. Louis. While at a community carnival a week after Build Day, a group of concerned parents approached Steve and John (who had helped lead the build) about vandalism and other inappropriate activities happening on the playground after hours. They decided they right then and there that they will be forming a neighborhood watch group to take care of the playground! Play it forward with a donation today to support our model of community-built playgrounds which give communities ownership and pride in their great new places to play. 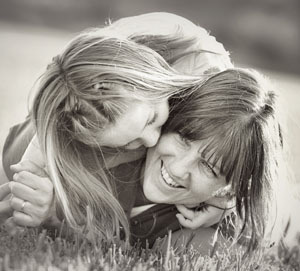 “When my son was born sixteen years ago, my life changed. As a new mom of a child with a disability I was quickly realizing how many challenges and hurdles we would both face in the years ahead. But my heart broke when I realized that there were no real playgrounds, or any type of place for my son to play with other children in an unstructured way. Play is a necessity for all children, and especially important for disabled kids. I knew I had to take action. Mara saw a need and worked to fill it. Her passion for building accessible playgrounds is contagious and her work will continue until all kids have a great place to play. Play it forward with a donation to help bring play to ALL kids, without exception. 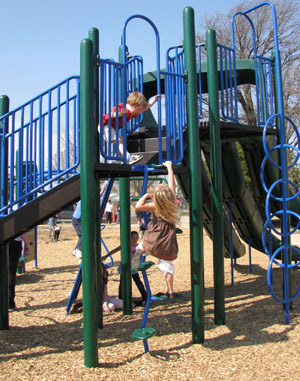 Play it forward with a donation today to help us give all kids a safe place to play within walking distance of their home. "I am on the Board of our local Community Development Corporation in my town - The Colony - in Texas. In my position I get to help direct tax payer dollars to community enrichment and recreation projects - like parks, trails and playgrounds. I had always viewed this as a big responsibility, which I took very seriously. When we were installing new playgrounds I would be sure to inspect each one - did we get all the parts we paid for? Was it installed correctly? Is it well-lit? Was there any graffiti on the equipment? I viewed my role in a very utilitarian light. In that moment I saw the creativity emerge from these boys. I fully understood the vital importance of PLAY in a way I never had before. Everything about what my role was on the CDC Board changed - from not only being a guardian of tax payer money but to being a guardian of play also. I went back to my fellow Board members and explained what I had witnessed and experienced. Encouraged by a new passion and determination I believe our entire Board has embraced the importance of what we do for our community in a stronger way and all the projects we work on in the future. I also found a new understanding of my community when I wrote our city's Playful City USA application. This new understanding of PLAY has truly changed the work I do for my community. 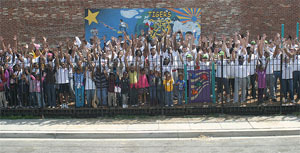 Our Play Task Force hosted an entire month of Play in September - playTC! Month. Hundreds of people experienced new adventures and opportunities to play in The Colony." Lisa discovered the importance of PLAY and used that new-found passion and determination to help make her entire community more playful. 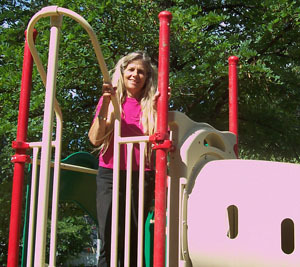 Play it forward to keep helping people like Lisa discover the importance of PLAY. “I was just flipping through a magazine the summer of 2010 when an article about KaBOOM! stirred something in me. There was a deserted lot in my neighborhood that had stood empty and vacant for over 16 years. We had been promised a playground for years – it was time for action. Along with three other parents in the community, we decided to start a 501C3 and stop waiting. It started with the KaBOOM! 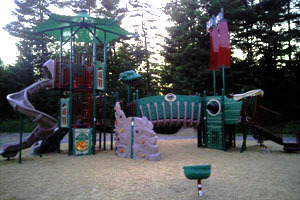 Imagination Playground™ giveaway, in which we placed 5th! Our group got to work, and the KaBOOM! online resources, webinars and trainings were an invaluable resource. We began fundraising, learning about volunteer management, learning about how to manage a community build – all thanks to the online project planner. We had never done anything like this before, but we were determined to make a change. The Friends of the Stillwater Glen Hollow Park knew their community needed a playground, they knew where to go to learn how to do it, and they built it with the resources from their own community. 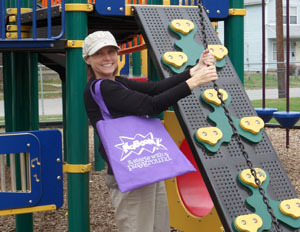 Play it forward so we can keep inspiring and teaching people like Jacqueline how to build their own playgrounds.